PRDnationwide Burleigh Heads first opened its doors at it’s stunning beachside location in 1978, during the early years of the Gold Coast property boom. Our current partners took over the business in 2005 and have built it into one of the most recognized and respected agencies on the Coast. They have diligently trained the next generation of sales executives to follow their lead of reliability, integrity and old-fashioned hard work. 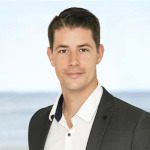 At PRDnationwide Burleigh Heads we have the best of both worlds: decades-long experience in the ups-and-downs of the Gold Coast property market, combined with the enthusiasm, energy and understanding of our digitally connected world that comes with youth. This is the core strength of our business. Selling your property is an exciting time and we understand that your property is important to you. You need the support and understanding of a professional real estate agent where local knowledge makes all the difference. Why choose PRDnationwide Burleigh Heads, to sell your property, rather than another local agent? We have eight dedicated sales staff, with over ninety years experience in the central Gold Coast real estate market, to assist with every aspect of your sale. We work as a team, and all seven agents will inspect your property (at one time) within a week of it being listed for sale, to ensure that we are all fully familiar with its features and characteristics. We are the ONLY agency in Burleigh Heads to operate a Holiday Rent Roll, and have done so for 41 years. Accordingly, we are in regular contact with a large number of investors AND an enormous number of repeat visitors to the area. Our premises and shop window are located in a premium, high traffic, high visibility area, on the beachfront, next to the re-developed Burleigh Heads Hotel, at 14 The Esplanade, Burleigh Heads. You won’t pay one cent in advertising costs unless your property is sold at the price you’re prepared to accept. We will tell you the truth in all of our dealings with you – about price, buyer feedback, and anything else relating to the sale of your property. We understand the emotional upheaval associated with your decision to sell your home. We work to keep the stress associated with the sale process to an absolute minimum. We will keep you informed of what’s going on with the sale of your property. Few things are more frustrating or annoying to sellers than hearing nothing from their agent. We make sure that you know what’s going on! We fully appreciate that, in the sale process, we’re actually working for you, the seller, rather than the buyer, in order to negotiate the highest possible sale price! We have a number of different marketing packages and selling strategy's available depending on your property and budget. Every property is different and as such the marketing and strategy's do change which is why we tailor them to suit our individual client's needs. The overall goal is to provide maximize exposure of the property and to create a competitive buyer environment for our sellers. HIGHLIGHT realestate.com advertisement making your property stand out and feature at the top! A full A4 colour window display will be displayed in our beachfront office window. Offered in print format, your property brochure is distributed to prospective purchasers inspecting or inquiring about your property. Your property will be included in our property magazine available from our office reception and through agents for prospective purchasers. Your property is emailed when initially listed and a second email if we conduct an open house to our large database of prospective purchasers. 200 just listed brochures will be letterbox dropped in the local area informing that your property is for sale. We also have professional dusk & dawn photography, interactive floor plans, aerial drone shots, video walk through with music and much more if you would like to look at these options. At our meeting we will get to know you and what you’re hoping to achieve with the sale of your property. We’re not into pressure tactics so you can relax and just enjoy the chat. you can make informed decisions with a greater sense of confidence. Working with you we will develop a tailored marketing strategy designed to maximize your sale price and minimize days spent on the market. ready for sale and help it sell faster. simply picking up the phone for a chat. Yes, we still do that. "Over the years Jan and I have owned and sold a number of investment properties and our experience with Braiden would rate as the best ever. From day one when we first spoke with Braiden we felt confident that he would do a great job for us and he exceeded our expectations. We cannot recall a single occasion when we rang him and he did't answer our call. He always responded promptly to any emails we sent him and the whole process was a breeze. We first spoke to Braiden on Sept 25th and by Oct 6th he had a signed cash contract for us at our asking price. We have no hesitation in recommending Braiden to anyone looking to sell their property. "Braiden did a great job selling Burleigh Surf 18G for both the former owner and Veronica and I. He was efficient, knowledgeable and always reliable. If we sel18G we would request PRD to engage Braiden as our agent. Thanks Braiden for a job well done!" "It is a pleasure to provide a recommendation for Braiden Smith who was our agent in our recent unit sale. Braiden was at all times very thorough and knowledgeable of the market particularly in Burleigh where we were located. He advised of the best time to sell in regard to school holidays and other peak times. He also thoroughly understood the buyers and advised us of the ones he considered the best options."